Instructions are quite well done with lots of well drawn detail to help in construction. Paint references are Model Master. There are three options. All of them are of pretty current aircraft. First is a black one from 2001 in private hands in the US. Next is a US registered plane in private hands in the UK from 2010. 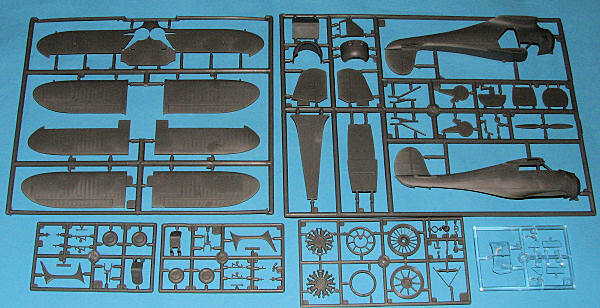 This is the box art plane and is quite fetching. Much of the blue trim will need to be painted, though the pin striping on this and the other options is provided as decals. 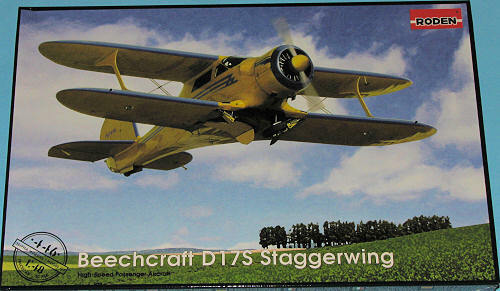 Finally, an Australian Staggerwing, also from 2010 in another coloruful scheme. The decals are very nicely printed, but may cause some issues in application so be sure you use very warm to hot water and put them on a glossy surface. That seems to work the best.